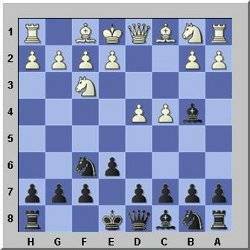 The Bogo Indian Defence is a good chess defense for Black versus d4, c4, Nf3 setup. Just observe if White develops his kingside knight to f3, then you can play this opening line. 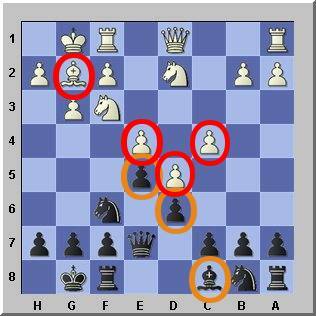 The chess variations of the Bogo Indian Defence are solid but also dynamic enough to give winning opportunities. Hint: If White plays 3.Nf3 instead of 3.Nc3 you can play the Bogo Indian Defence. This is the common position. White has not played the usual 3.Nc3 to control e4 and planning to play 4.e4 as this would enable Black to play the Nimzo-Indian defense 3...Bb4. 3.Nf3 is sometimes played instead to avoid the Nimzo Indian. Now after 3.Nf3, Black usually plays 3...b6 which is the Queen's Indian Defence or 3...d5 which leads to the Queen's Gambit Declined. However Black can play 3...Bb4+ now, which is called the Bogo Indian named after Efim Bogoljubov. This variation is not so popular but is played on all levels of chess. 4. Bd2 is the most popular line and Black has to decide what to do. Trade off the bishop by 4...Bxd2+ which is not popular or play the popular 4...Qe7 which defends the bishop. A sharper alternative is 4...a5 which grabs some space on the queenside but creates some structural weaknesses. The modern line is 4...c5 and after 5.Bxb4 cxb4, Black's pawns are doubled and the c-pawn has been pulled away from the centre but the b4 pawn controls the c3-square and hinders the development of the white knight to c3 which is the natural square for it. Black can also simply retreat the bishop playing 4...Be7 as the loss of tempo is compensated by the inactive development of the white bishop to d2. 4.Nbd2 is an alternative to 4.Bd2 intending to trade off the bishop for the knight or chasing the Black's bishop away later on. But the knight is not developed to c3 which would be the natural and active square for the knight. It sits now on d2 where it is somewhat passively placed and it blocks the bishop on c1. Black's most common moves now are 4...b6, 4...0-0 or 4...d5. Exchange your bishop on b4 eventually. After that move your pawns in the center to black squares! This will bring your bishop on c8 to life and will limit the activity of the white enemy bishop on g2 because the white pawns are blocked on white squares. See diagram below!